Mobikwik – Get Rs 25 Cashback on 5th UPI Transactions of 5000+ (40 Times- Earn Rs 250). 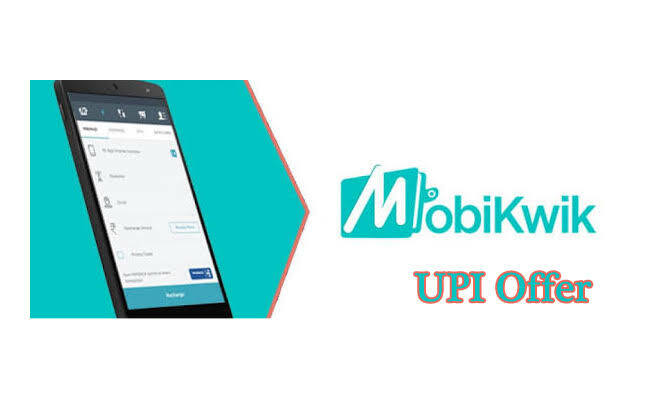 Mobikwik has launched UPI in their Application recently and now comes with an UPI Transfer offer. Get Rs 25 Cashback on 5th UPI Transfer to any @ikwik VPA. Once user can avail this offer Maximum 40 times during the offer period to avail Maximum Rs 250 Cashback. Receivers should not necessarily be unique. Users need to complete their KYC in order to receive cashback. So Hurry up and avail this offer now !! 4. Now Goto “Wallet” >> Add BHIM UPI >> Select your Bank and they will fetch your bank details. 5. Now Initiate your 1,2,3…….5th UPI Transfer from your Mobikwik App to any other Mobikwik UPI Address of Rs 5000 or more. 6. You will get the Rs 25 Cashback on 5th UPI transaction. You can avail this offer 40 times to avail Rs 250 Cashback. 3. Max cashback one can earn is Rs 250. 5. The user will earn cashback on 5th, 10th, 15th, 20th …………. 50th transfer. 7. All the transfers should be during the offer period. 9. Offer valid only from 1st December to 31 December. 10. Users who have linked their payments bank as the primary bank, won’t be eligible.